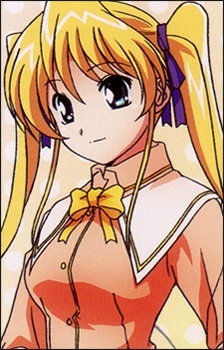 Anri is Haruhi's close friend, which makes her a fellow mage in training. She tends to have a very strong-willed type of personality which she uses to try to get the things she wants. It can also make her reckless when it comes to her using magic, due to her being overconfident and under skilled compared to Haruhi. Her magic wand is named Paella (パエリア).